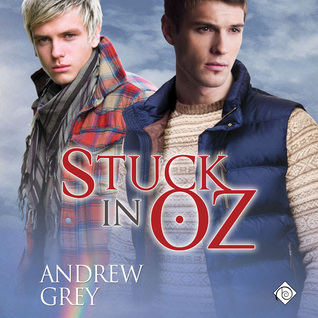 "Stuck In Oz" is the second book in Andrew Grey's 'Tales From Kansas' and while we get a very tiny glimpse of Roger and Lyle, the couple from 'Dumped In Oz' book 1 in this series, 'Stuck In Oz' can easily be read as a standalone. Jeremy runs from San Diego to Wamego, Kansas with his little brother Petey when their mother dies and he's determined to keep Petey with him. Petey is an adorable, sweet little 3 year old who loves his brother Jeremy. Jeremy is in his early 20s and he adores his brother Petey and would do anything to keep him safe and happy. So he decides that his safest course of action is to go to their Uncle Milt. Milt wasn't close to his sister but he loves his nephews and takes them in with open arms and welcoming heart. While he wasn't always the most observant person at the party he came through for his nephews with flying colors. I loved Milt and am really hoping that at some point he will get a story and his own happily ever after. When Jeremy arrives in town he stops at the local diner and this is where he meets Nate for the first time. Nate's lived his whole life in Wamego and while he seems confident and outgoing he's got his own demons to deal with. As Jeremy and Nate get to know each other Nate's insecurities come to the surface and it's Jeremy's sweet quiet nature and his faith in Nate's ability to overcome his insecurities that helps Nate to take stock of himself and find the determination to be the man that he wants to be. 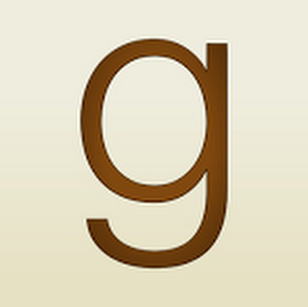 I really enjoyed this one. While Nate and Jeremy were attracted to each other from the start it wasn't love at first sight and we got to see them get to know each other and take their relationship from acquaintances to friends to lovers. The ending was definitely a happy for now with a solid HEA to come. Rusty Topsfield was again the narrator for this second installment of the 'Tales From Oz' series and while his narration in the first book was ok for me...I definitely enjoyed his narration of this one a bit more. The stories in the 'Tales From Kansas' series are short with little angst and a definite feel good undertone and I'm looking forward to seeing what the next one has in store for me and I have to admit I'm really, really hoping for Uncle Milt's story before this series ends...just putting that out there in the universe. 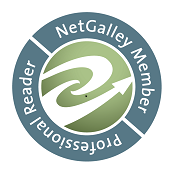 An audio book of 'Stuck In Oz' was graciously provided by the publisher in exchange for an honest review.